Nickel yesterday traded with the positive node and settled 0.26% up at 917.8 after data showed HSBC's China preliminary PMI was 51.7, far better than 50.4 expected. Growth in global production of primary nickel this year is set to outpace consumption growth, increasing the surplus in the global market, the Lisbon-based International Nickel Study Group (INSG) forecast. Global primary nickel output is expected to rise 5.7 percent in 2013 to 1.849 million tonnes, driven by output growth in Asia. Global nickel consumption is forecast to rise 5.6 percent to 1.7552 million tonnes. Technical House KRChoksey has suggested buy call for SBI. The stock is good for long term. SBI is pioneer in Indian banking Public sector. The stock has touched 52-week high and low of Rs 2657 and 1571 respectively. SBI is trading currently with a P/E ratio of 16. Market expert Dilip Bhat has also suggested buy call for State Bank of India. Pharmacetical major Cipla is good defensive bet at current levels, as per market experts at KR Choksey. The recently declared results of Cipla were as per market expectations. The net profit for Q4 was up by 36.5 per cent at Rs 292 crore compared to same quarter previous year. Indian government has another trouble now. The USD has been rising for past few days compared to Indian currency. Economy is also facing tough times and the estimates to growth have been lowered for Indian manufacturing sector. Citigroup report counts four major deficits for India - fiscal, current account, liquidity and governance. UPA II is already under attack of opposition over the policies and rising inflation across the nation. With latest CitiGroup report, the troubles for government will increase only. Moving ahead after quarterly outcomes, IT firms have showcased their viewpoint for the upcoming year. The figures manifest passive spending by customers this quarterly period. This submissive spending fact in the quarterly period is not shocking as customers generally outset spending post February once the financial plan gets settled. Hence, the low spending incidences and automatically, the submissive growth in income in the first quarter are quite distinctive in nature. KRChoksey has suggested buy call for IRB Infrastructure with a target price of Rs 188. In a research report released on 10 May, 2012, KRChoksey has suggested lower price target of Rs 188 compared to earlier target of Rs 221. IRB Infrastructure Developers stock is currently trading at Rs 112. The stock recovered from today's low of Rs 104 to end the day at Rs 112. IRB Infrastructure Developers has touched a 52-week low of Rs 100. With a market capital of Rs 3735 crore and P/E ratio of 22.5, the stock is little expensive compared to peers in infrastructure sector. Research house Nirmal Bang has suggested buy call for Lupin with target price of Rs 633. Nirmal Bang has said in its research report dated 11, May 2012 that the results are in expectations. The major issue was forex loss and the one-time tax on inventory sold to overseas subsidiaries of the company. 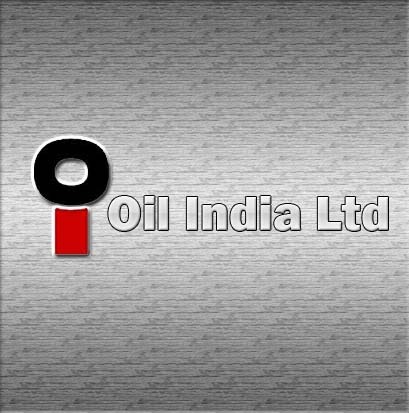 Technical analyst Prakash Gaba said that the stock of Oil India is feeble and slumping. There is no indication of strength as yet, he added. But, the risk reward proportion is positive for capitalists. Mr. Gaba said that there is a possibility that it can reach 465 levels. "But I must say there is no sign of strength. Investors may have a stop below 450. 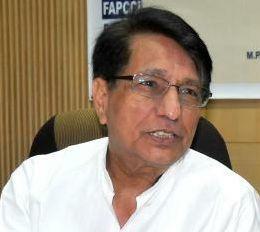 It is a good level for Oil India to bounce back," he added. India’s union civil aviation ministry will soon prepare a note that proposes to allow up to 49 per cent investment by international carriers in local airlines. The move is to bring some relief to the Indian aviation firms that are struggling with low liquidity. The aviations firms in the country are struggling with high jet fuel costs and mounting losses. ACC Limited is India's foremost cement manufacturer with a countrywide network of factories and marketing offices. Established in 1936, ACC has been a pioneer and trend-setter in cement and concrete technology. Among the first companies in India to include commitment to environment protection as a corporate objective, ACC has won accolades for environment friendly measures taken at its plants and mines, and has also been felicitated for its acts of good corporate citizenship. ACC is the most preferred cement brand name in India. ACC is now part of the worldwide Holcim Group. Aluminium yesterday traded with the negative node and settled -0.8% down at 111.85 after the preliminary HSBC data shows that the PMI in manufacturing sector during May slipped to a 10-month low, triggering investor concerns over China’s economic growth. Fitch Ratings cut Greece's credit rating by three levels to B+, four levels below investment grade, from BB+, and S&P’s downgraded its outlook for Italy’s credit rating from stable to negative, both weighing down the euro and boosting the US dollar index. The US dollar index opened at 75.76 and closed at 75.69, down 0.92%. Weak economic data and stronger US dollar drove LME aluminum prices down.